suji gulab jamun | suji ka gulab jamun | rava gulab jamun with detailed photo and video recipe. a unique way of preparing the traditional indian jamun dessert with fine semolina. 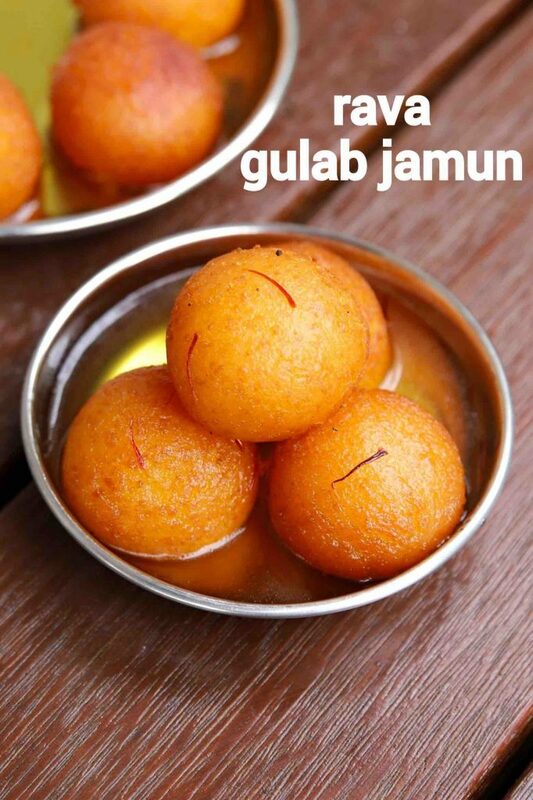 it can be an alternative version of gulab jamun which does not require mawa or milk khoya. the recipe is considered to be thrifty and economical compared to the traditional version as it is made with easily available sooji. 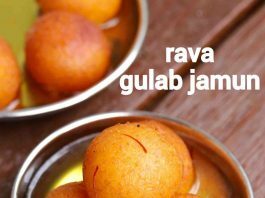 suji gulab jamun | suji ka gulab jamun | rava gulab jamun with step by step photo and video recipe. 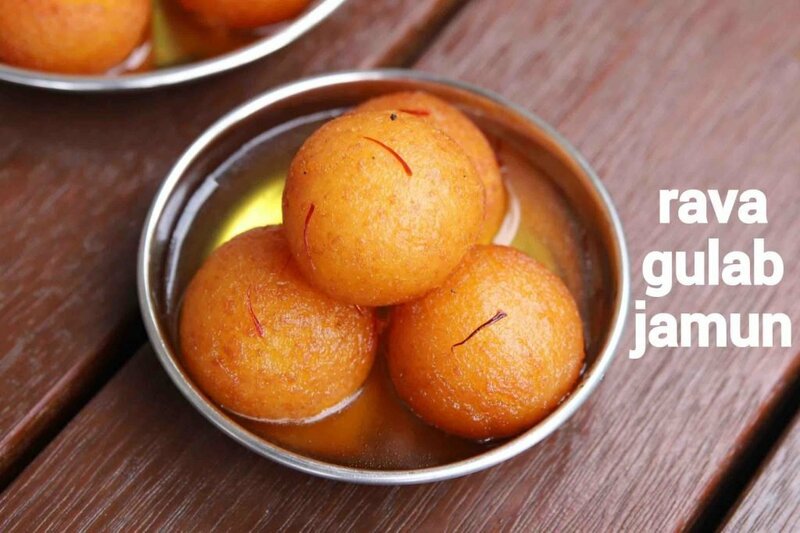 gulab jamun recipe has become one of the most sought indian dessert recipe made across india. evidently, there are myriad versions to it and can be made with different ingredients with the same result. one such variation and a popular version is suji gulab jamun or semolina gulab jamun with fine rava. i have posted quite a few gulab jamun recipes till now, but i personally felt making suji gulab jamun is much easier compared to others. 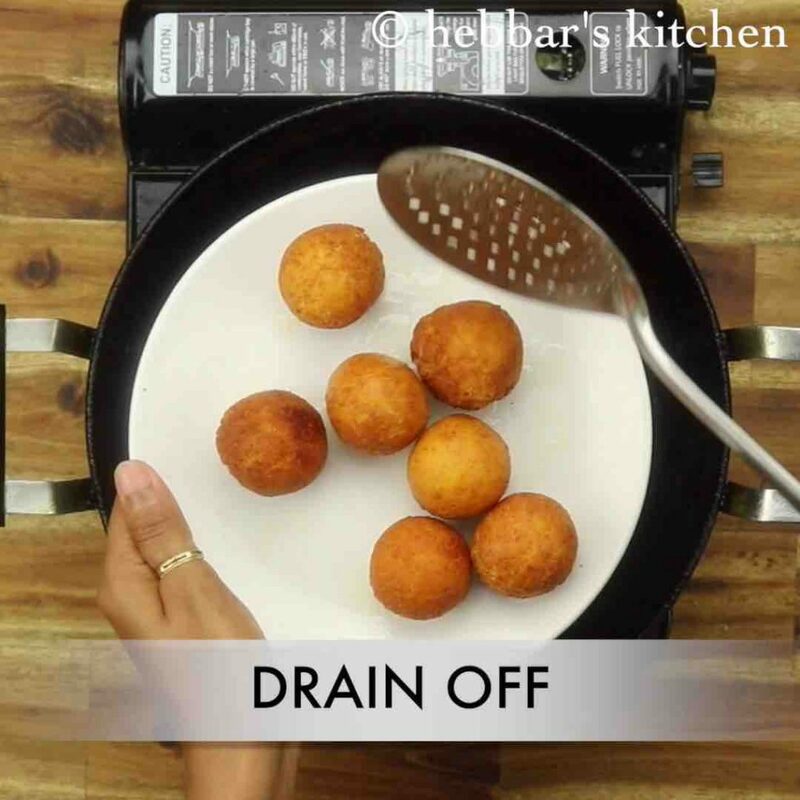 the potential issue with milk-based gulab jamun is the crack you get while shaping it and eventually while deep frying it. in addition, you may have to add maida with milk powder or khoya/mawa and this can be a concern for many. but luckily with this recipe of suji ka gulab jamun, you are negating all those problems. moreover, once the gulab jamun is ready you would not be able to distinguish if it is made with sooji or with khoya. well if you are addicted to the milk-based gulab jamun, you may find the difference, otherwise, it can be challenging to spot any. anyway, i would like to few tips, suggestions and variations for this suji ka gulab jamun recipe. 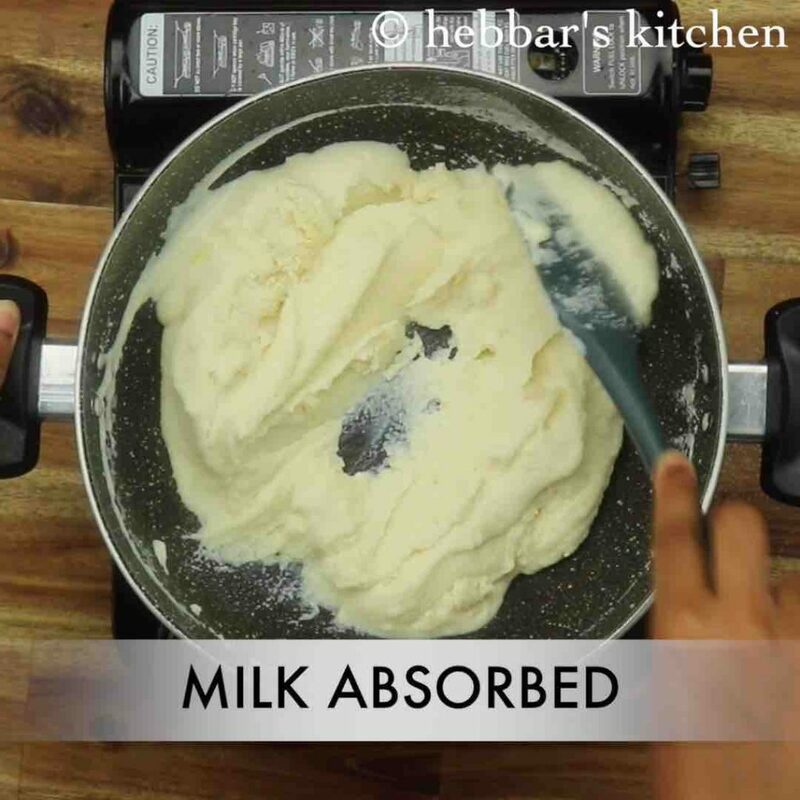 firstly, i have added a small amount of milk powder to semolina while preparing the gulab jamun dough. 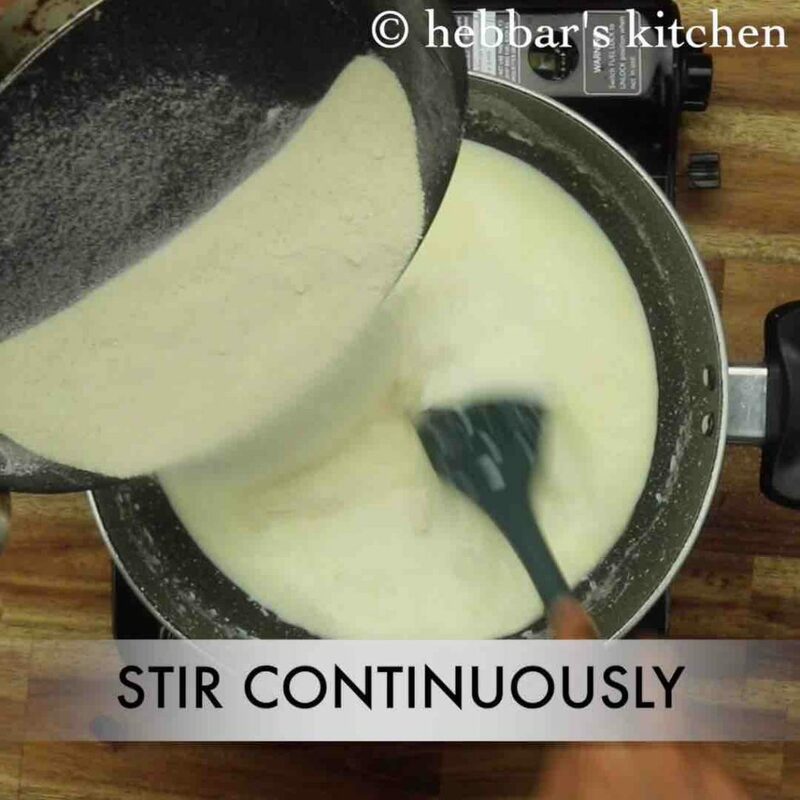 adding milk powder adds nice smooth texture, but is completely optional and can be skipped. secondly, while shaping the jamuns i would heavily recommend to make it slightly bigger compared to the traditional one. this would ensure the sugar syrup would be perfectly soaked up and absorbed. lastly, fry these jamuns on a low to medium flame so that it is evenly cooked. 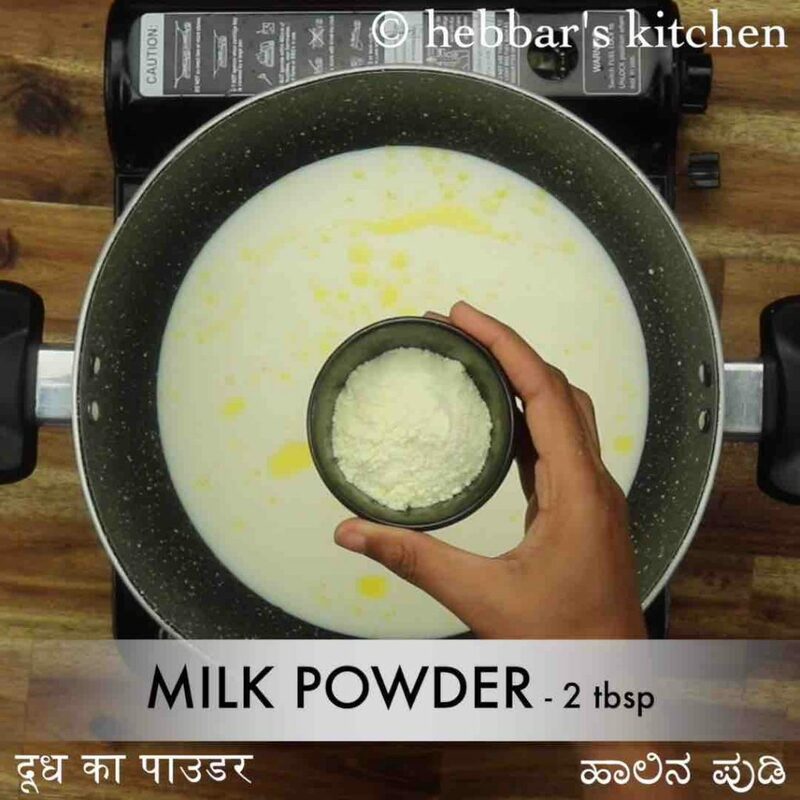 in a large kadai heat 1 tsp ghee and add 3 cup milk. 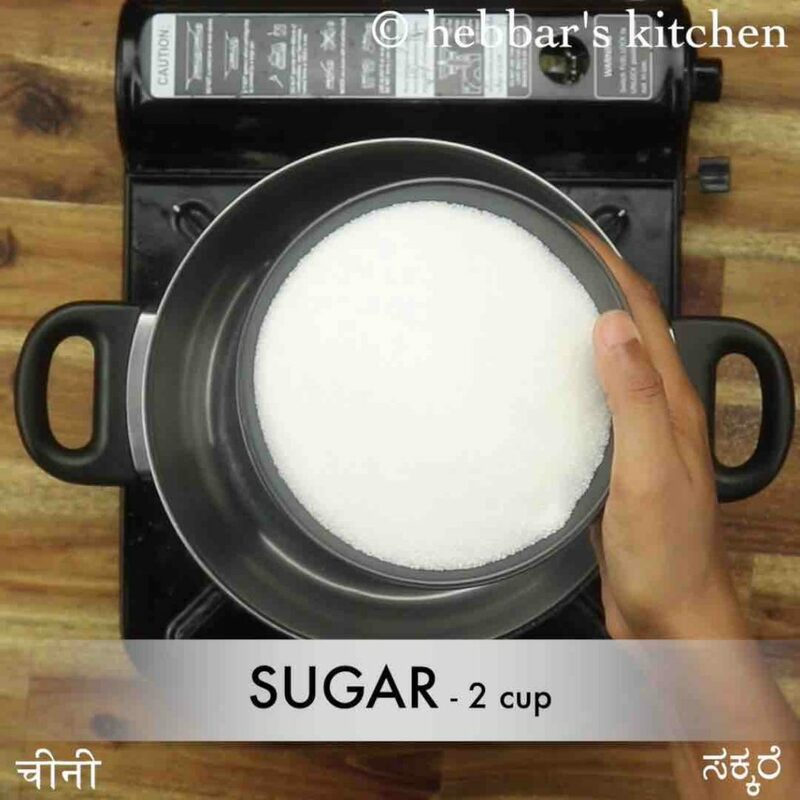 also, add 2 tbsp milk powder and 2 tbsp sugar. 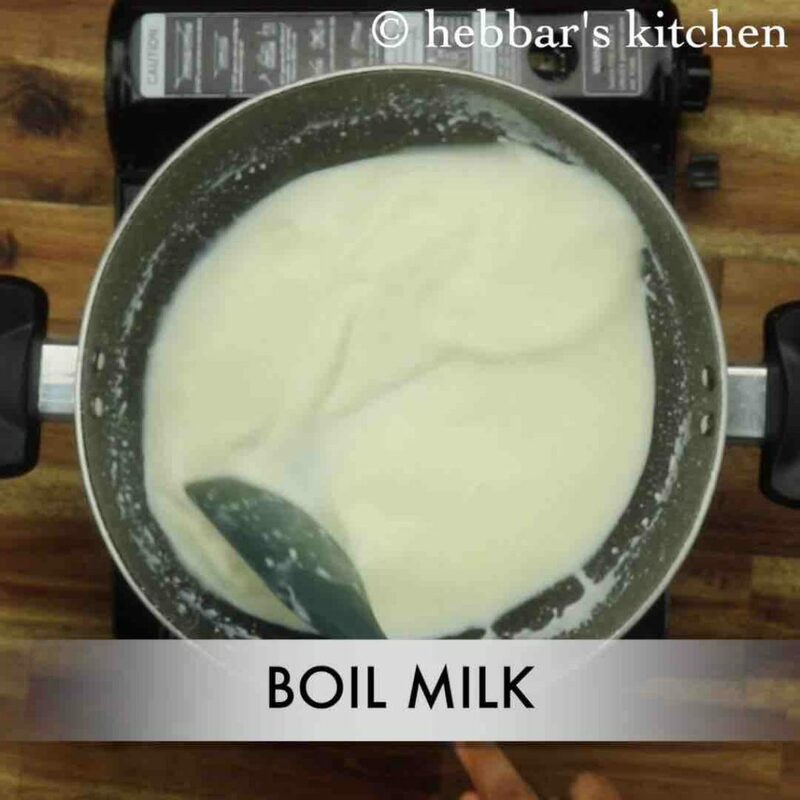 stir well and get the milk to a boil. 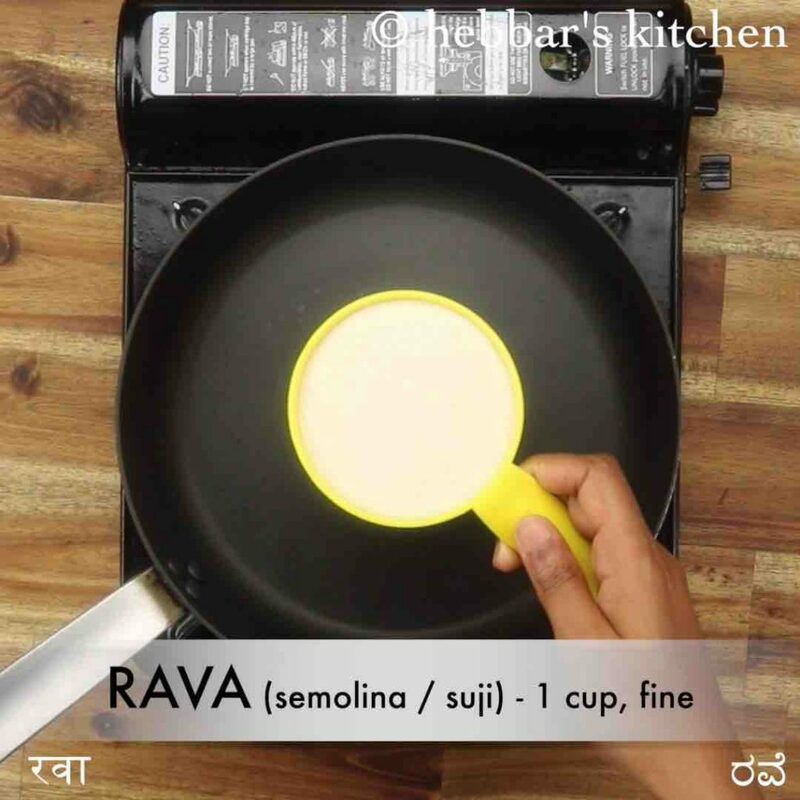 further keeping the flame on low, add 1 cup roasted rava stirring continuously. 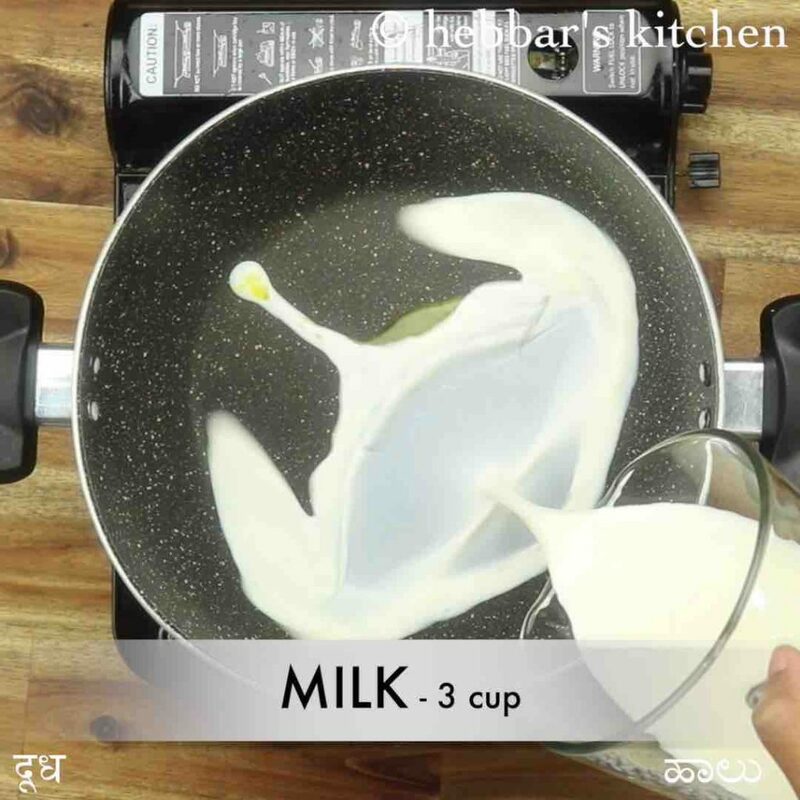 keep stirring until the rava absorbs all the milk. 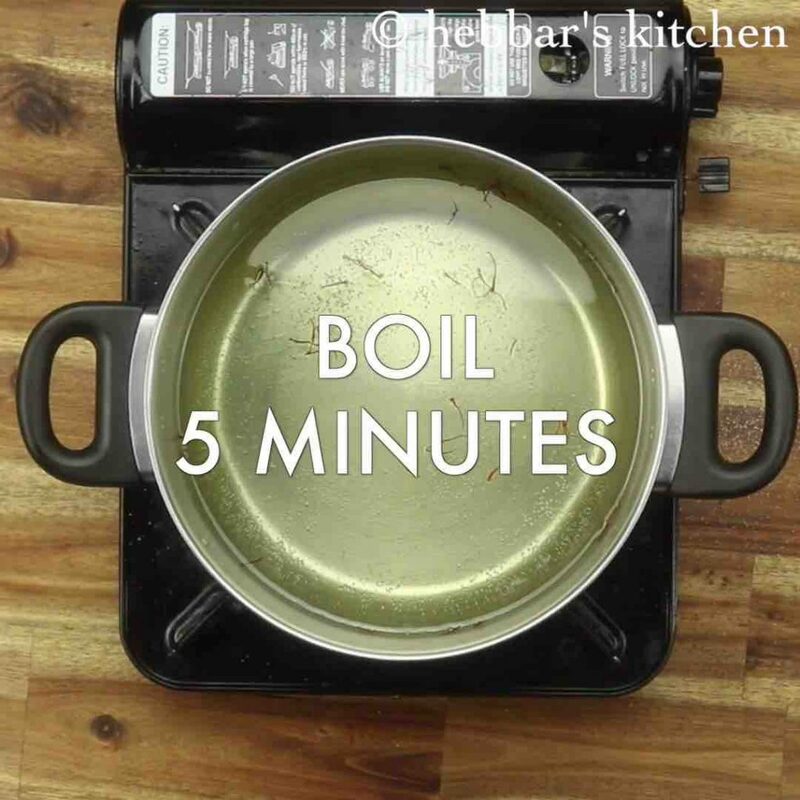 cook until the mixture forms a lump and separates the pan. 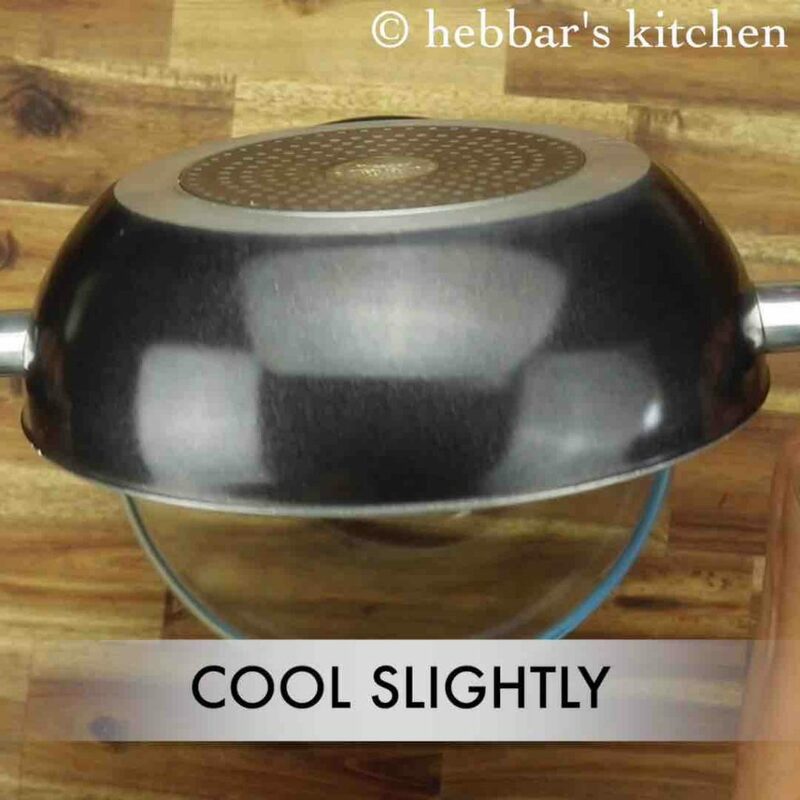 cool the mixture slightly and transfer to a large bowl. 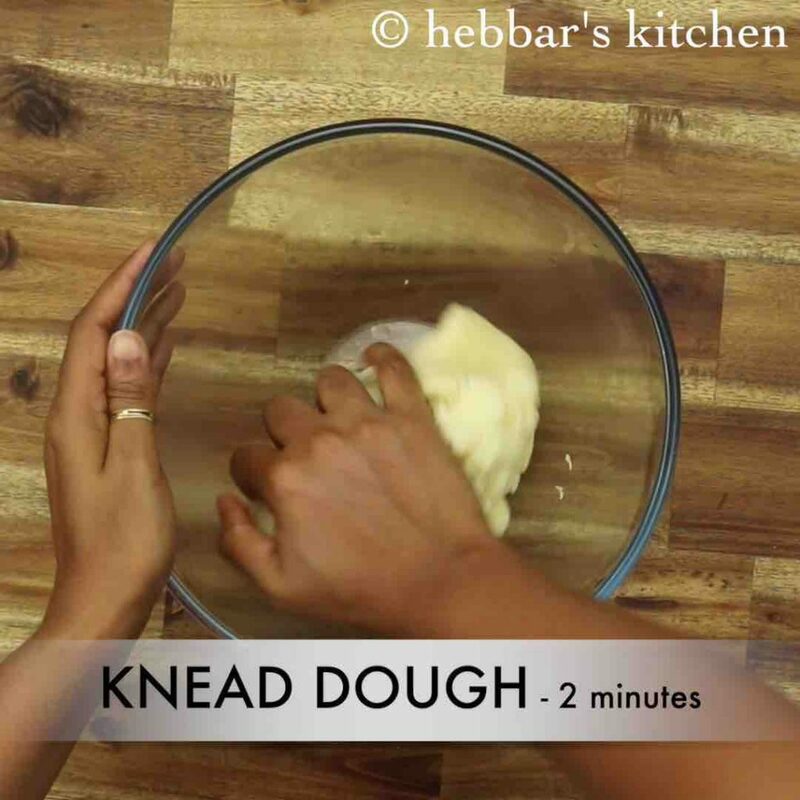 grease your hand with ghee and knead for at least 2 minutes, or until the dough is smooth and soft. 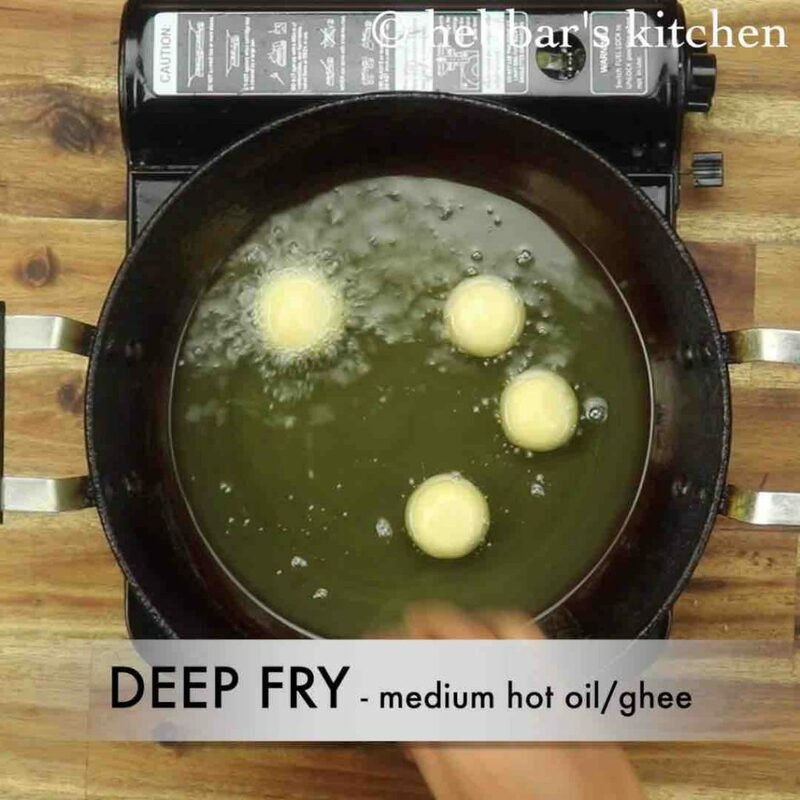 heat the oil / ghee on medium flame and when the oil / ghee is moderately hot, fry the jamuns. 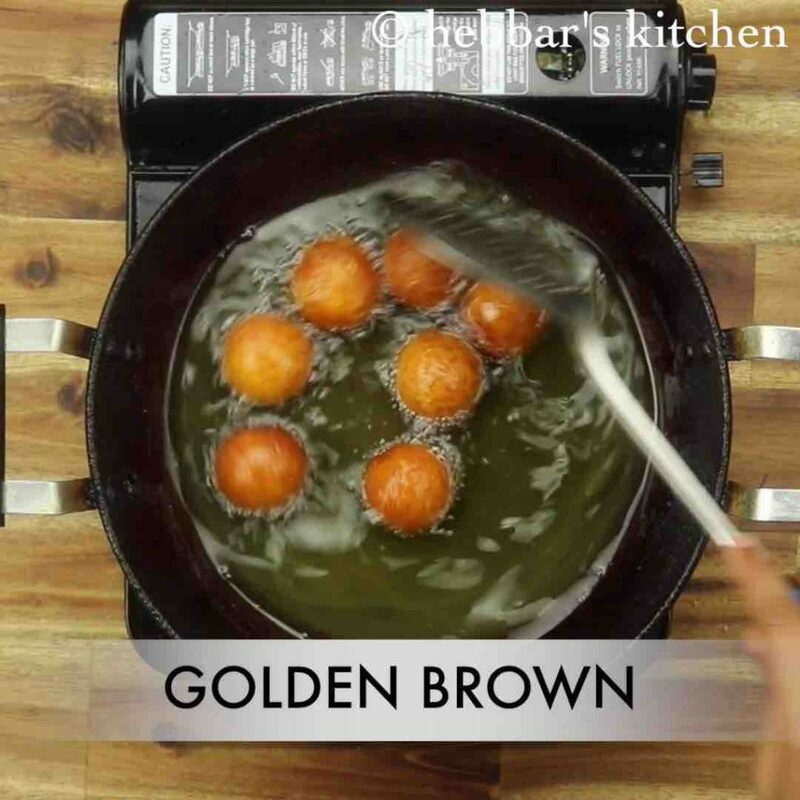 allow the balls to cool for 2 minutes, and drop the hot gulab jamuns into the warm sugar syrup. else jamuns won’t absorb syrup, results to hard jamuns. soak in sugar syrup and rest for 2 hours. finally, the suji gulab jamun has doubled in size. serve warm with ice cream or cold. firstly, dry roast 1 cup suji on low flame until it turns aromatic. keep side. in a vessel take 2 cup of sugar and ¼ tsp saffron. 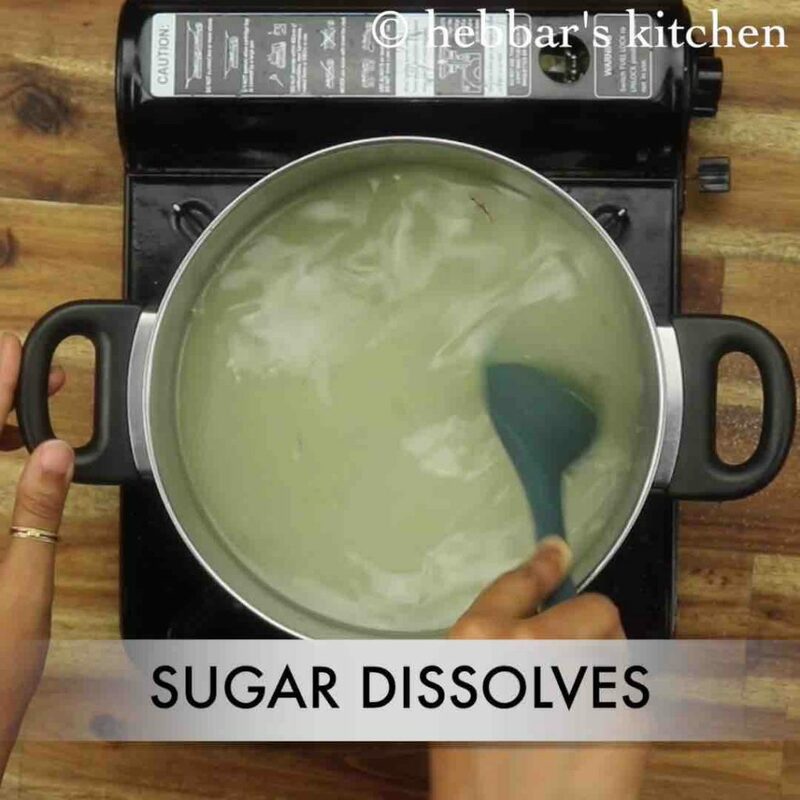 stir and dissolve sugar in 2 cup water. 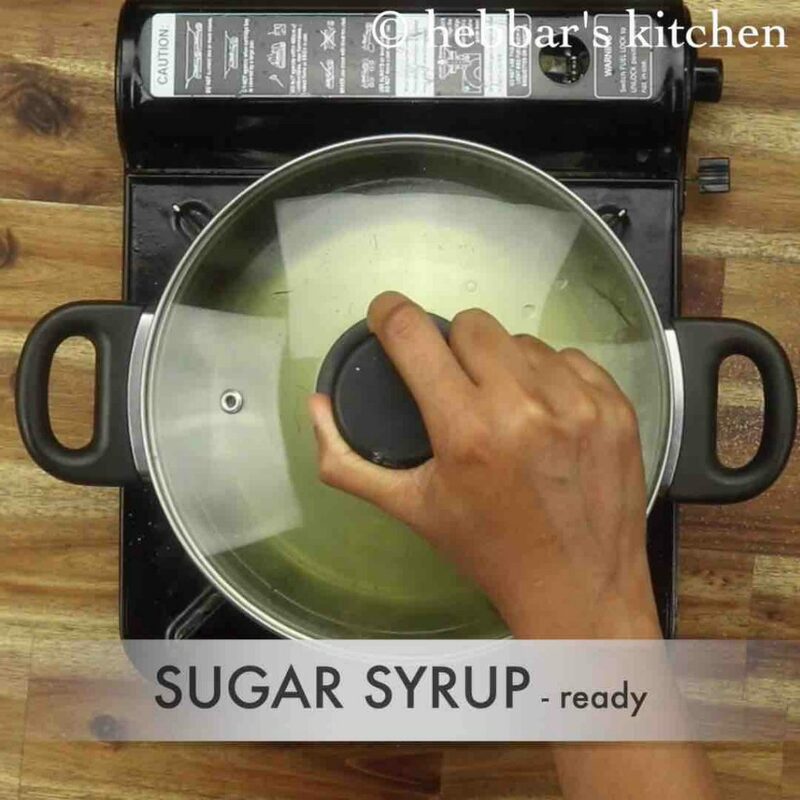 boil the sugar syrup for 5 minutes or until the syrup turns sticky consistency. 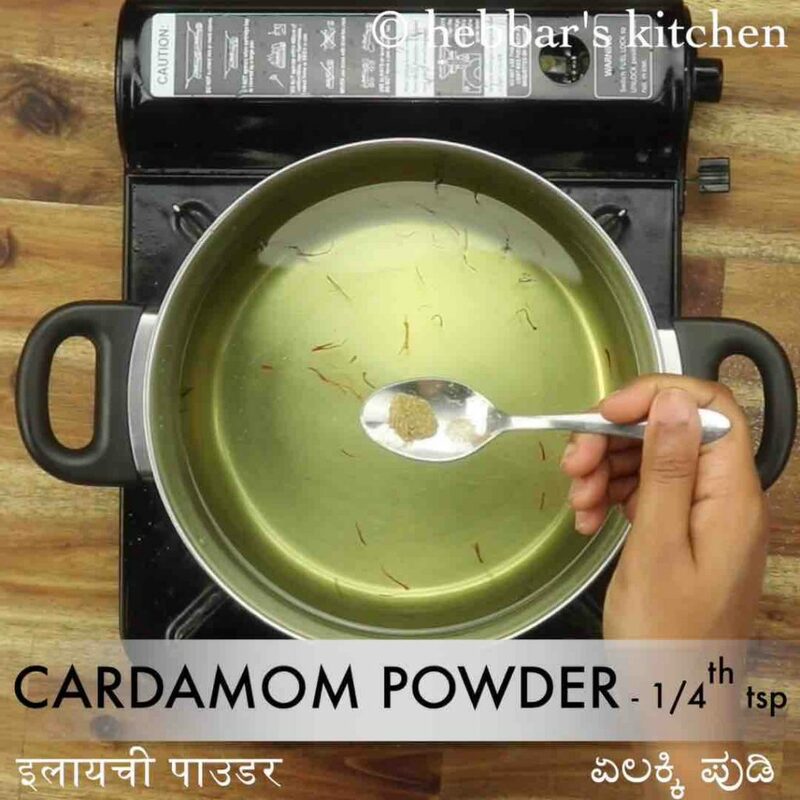 now add ¼ tsp cardamom powder and 1 tsp rose water. optionally, add ½ tsp lemon juice to prevent sugar syrup from crystallising. 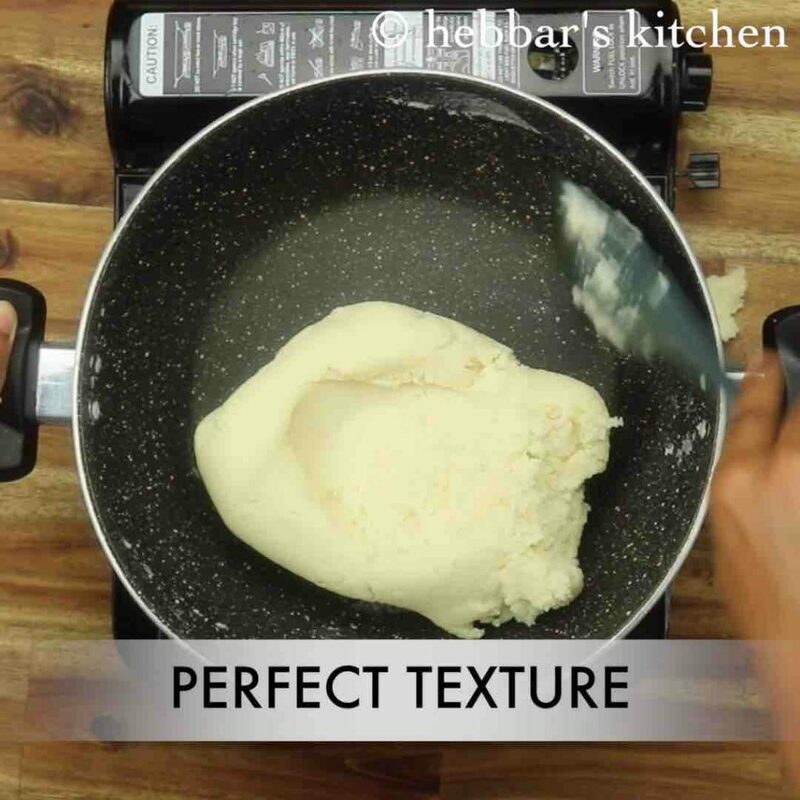 grease your hand with ghee and knead for at least 2 minutes, or until the dough is smooth and soft. you can add 2 tbsp of khova if you wish at this stage and knead well. 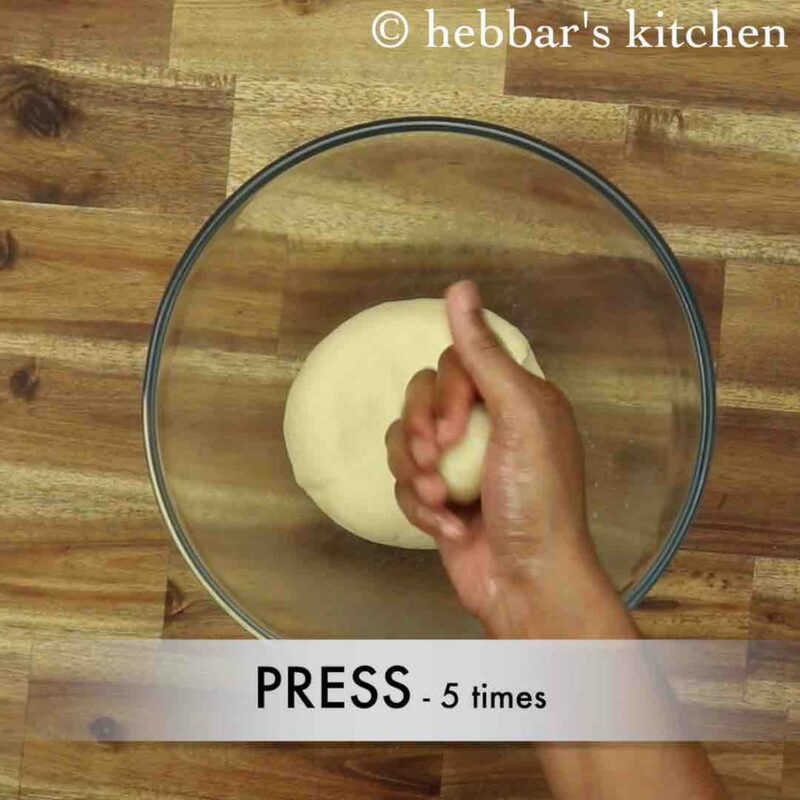 when the dough is still warm, take a small ball sized dough and make a ball. make sure there are no cracks on balls. else there are chances for jamun to break while frying. fry until the balls turn golden brown for 12-15 minutes. 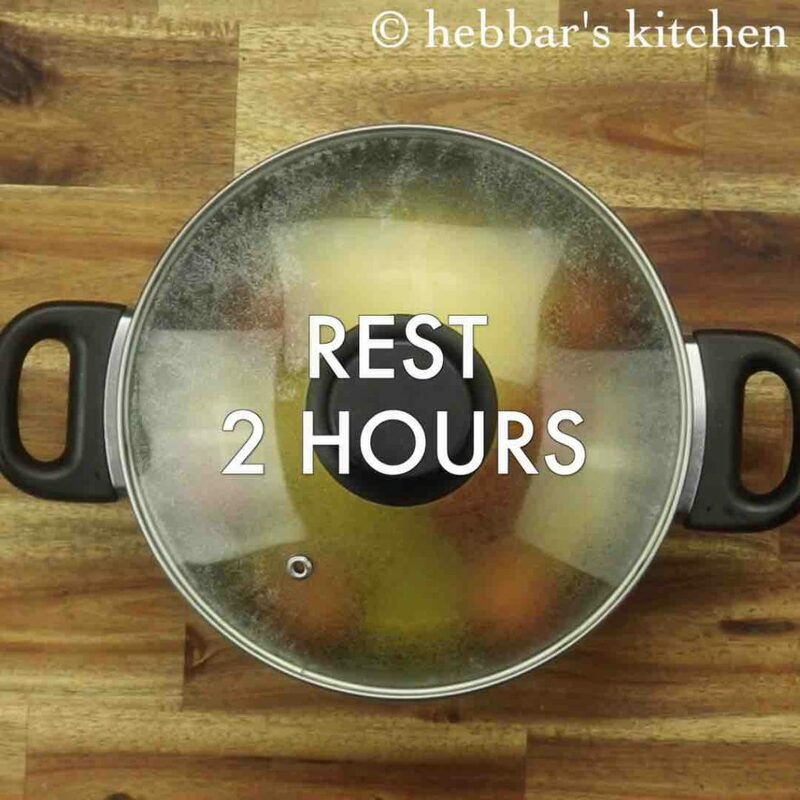 cover the lid and rest for 2 hours. 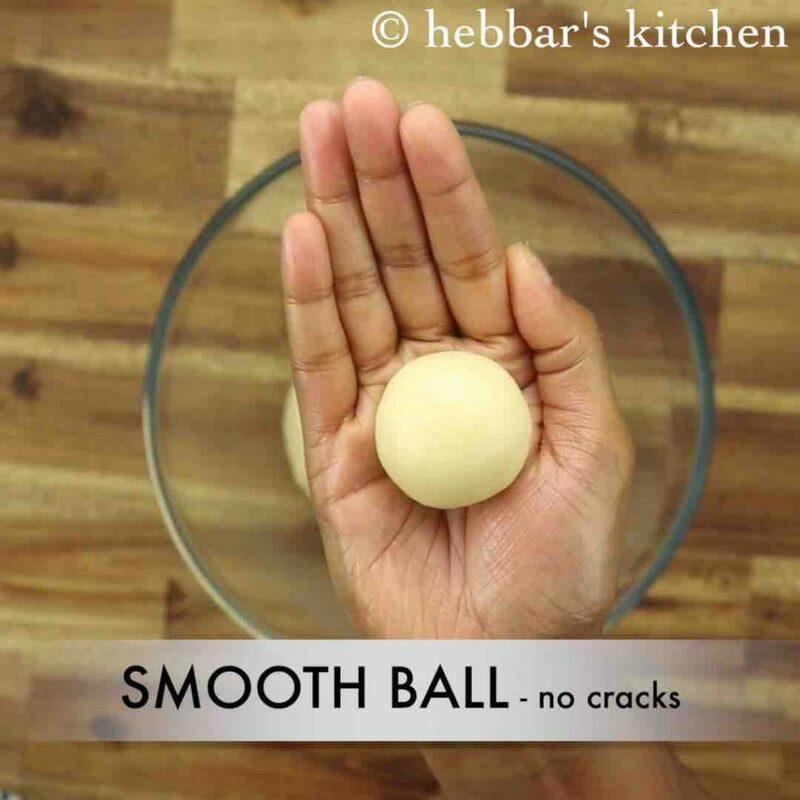 firstly, use fine suji else there are chances for balls to have cracks while rolling. 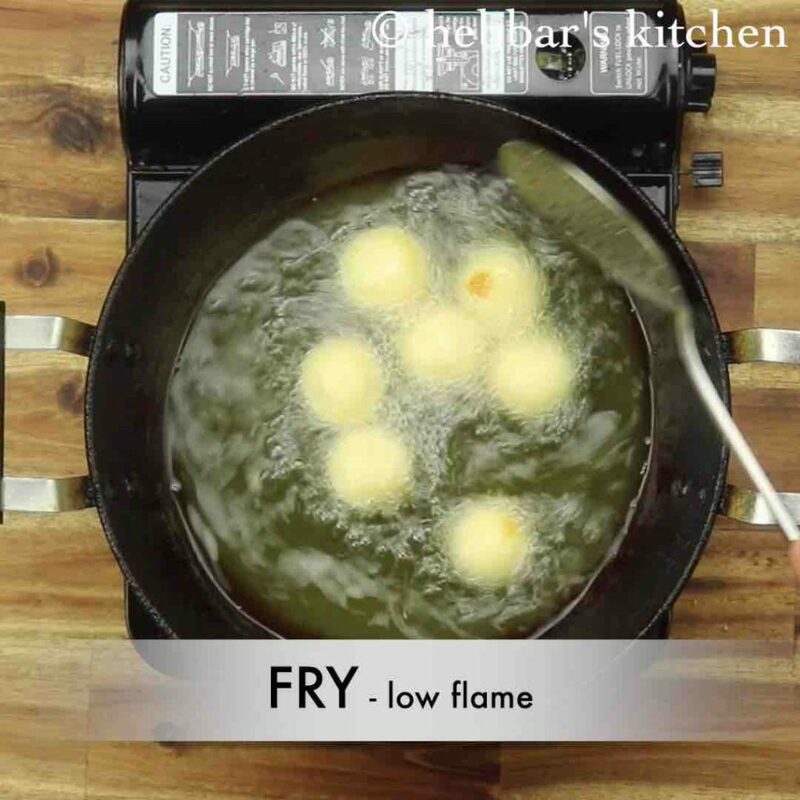 also, fry on low flame, else the jamuns will break while frying. additionally, you can stuff dry fruits inside jamun to make it more delicious. finally, suji gulab jamun recipe tastes great when prepared with milk and khova.